The lava is very brittle. Stepping on it made it crack. 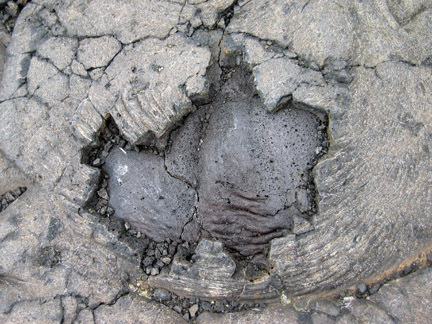 Here you can see two layers of pahoehoe flow.